SPECTACULAR LOCATION WITH RELAXING VIEWS OF GOLF COURSE & POND. 3 BR, 2BA. Kitchen remodeled with additional cabinets w/glass fronts, corian countertops. moveable island & ceiling fan. Oak wood flooring in kit, LR, DR, & hallway. Large Mster BR with dual sink vanity, walk-in closet & shower. 2nd BR has pull-down bed; 3rd BR used as Office. Dual pane windows/sliders. 2-car gar plus room for golfcart. Low maintenance patio w/aluma-wood overhang. Views from kit, LR & Mstr BR. Hurry – won’t last. 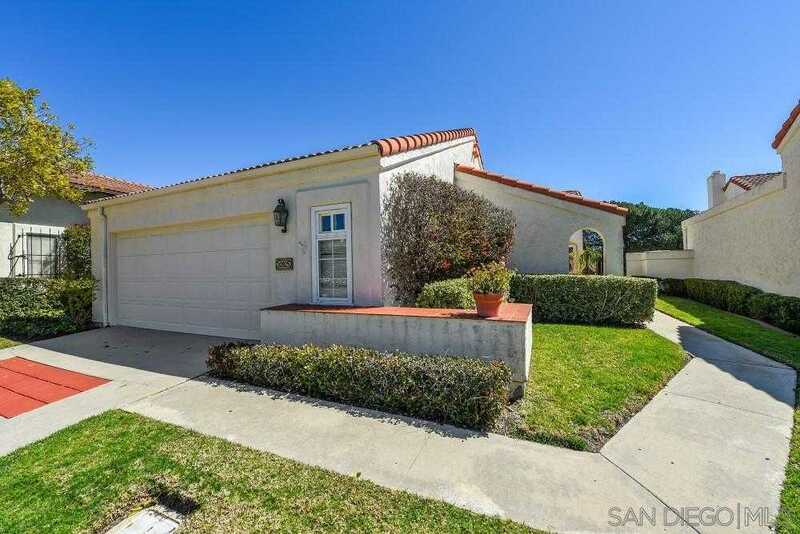 Please, send me more information on this property: MLS# 190017603 – $770,000 – 12825 Camino Ramillette, San Diego, CA 92128. I would like to schedule a showing appointment for this property: MLS# 190017603 – $770,000 – 12825 Camino Ramillette, San Diego, CA 92128.